Historically, how important have fungi been as a source of new drugs? Fungi have played a large role in the development of many important drugs that are in wide use today. The most well-known of these are the penicillins. It has been argued by some that this group of antibiotics may be credited with having one of the largest impacts on humans than any other single drug. It has saved countless live and is still in widespread use in human medicine as well as farming. Another example is the cyclosporins. These compounds are potent immunosuppressive agents that fulfil an important role in halting the rejection of organ and tissue transplants. The statins also come from fungi. Statins are the cholesterol-lowering medications that are experiencing ever increasing use to help reduce the risk of cardiovascular disease. Combined, these three groups of drug have probably impacted many millions of lives worldwide. So far, how many species of fungi have been examined for bioactive components and how many are there still left to investigate? 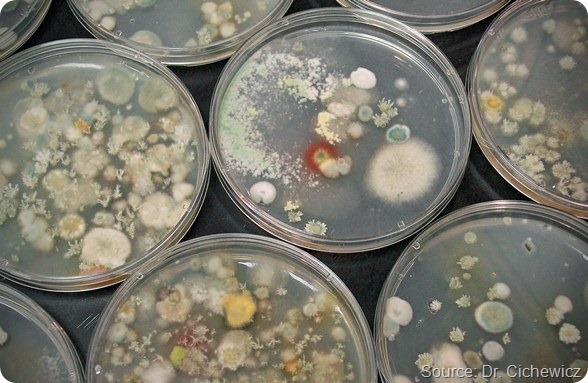 It is not entirely clear how many fungi have been tested worldwide. It is estimated that there may be 1.5 to well over 5 million species of fungi in the world. However, only about 70,000 have been described suggesting that a majority of fungal species have yet to be identified or tested. There is a huge amount of fungal biodiversity awaiting discovery. What is “crowdsourcing” and how did you come to use a crowdsourcing approach in your research? Crowdsourcing is the process by which help is sought from a large group of people that is able to contribute their thoughts, funds, information, services, goods, etc. for a common cause. The purpose of crowdsourcing is that the contributions of many individuals can help achieve a much greater impact than the isolated efforts of a few. When one considers the sheer magnitude of the number of fungi in the environment and our ability as a team to access a reasonable number of them, it is clear that this job requires a much larger team than we could ever hope to mobilize as a single lab. It made great sense to ask for the public’s help. In the process we also are using this as an opportunity to help provide information to the public about the work going on in our lab, teach about the drug discovery process, and increase awareness of fungi and natural products. At a time when there appears to be a growing divide between the public and scientific community’s understanding of science and medicine, it is important to look for ways of reuniting both sides on these important issues. 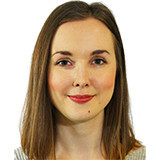 Please can you describe the new fungal strain your research team found as a result of crowdsourcing? The strain is a Tolypocladium sp. It is likely a new species of fungus collected by a citizen scientist near Salcha, Alaska USA. 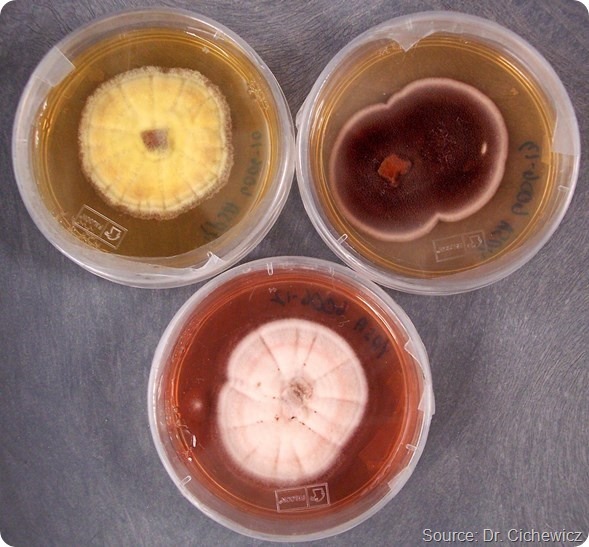 The fungus was isolated from a dirt sample collected in the person’s backyard. 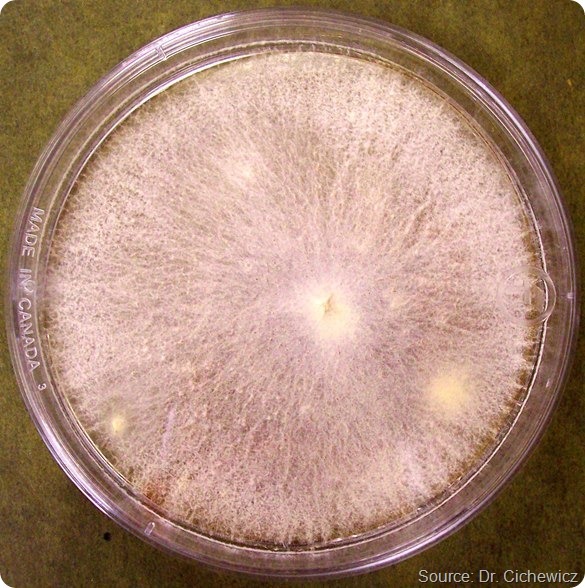 Fungi related to this strain are well known for producing many natural products including the cyclosporins. What is interesting about this particular strain is its ability to make the new compound maximiscin. The ability of a fungus to make new compounds like maximiscin is one of the reasons that the crowdsourcing program works so well. Even though we and other may have looked at this and related fungi before, we have a strain that is doing something rather unique compared to the others. The fungus may be what is referred to as a “chemotype,” that is to say the same species of fungus, but one that has a unique biosynthetic capability. Being able to access new chemotypes through crowdsourcing is a good way to find new compounds. How did you discover that this fungal strain could produce a metabolite with antitumor activity? Our lab puts all fungi and their extracts through a series of tests to determine which ones make compounds that could have beneficial biological effects. We screen all these samples through a panel of infectious disease and cancer related targets. The extract (combined pool of natural products) produced from this fungus showed an ability to kill cancerous cells, but spare normal cells. We knew from chemical testing this organism was making something we had not seen before so it was selected for a more intensive investigation resulting in the discovery of maximiscin. How important do you think crowdsourcing will be in the future of science? Crowdsourcing has huge potential to impact science in many positive ways such as attacking big problems that require lots of help. But crowdsourcing is also essential to the future of science because we (scientists) need to do better communicating what we do and why we are doing it. Technology is driving every aspect of our lives. If we are not working to include people in the process of understanding what is being accomplished then there will be increased misunderstanding of what science provides as a service for improving the human condition. For example, drugs are not just made up overnight. They come about through a long and sometimes circuitous process that involves lots of hard work and a bit of luck too. Helping people understand this process ensures that better understanding exists between both scientists and the public. How can “citizen scientists” get involved in future projects and is this opportunity open to everyone with an interest in science? This is certainly something everyone can become involved with helping. When our group was starting the program, we found lots of projects that used a similar conceptual approach that involved seeking enthusiastic volunteers who were willing to do everything from counting birds during migration periods to describing the characteristics of new galaxies. We are aware of lots programs seeking the help of people to solve big scientific problems. The best way to find out how to get involved is to go online and search for these programs. Another effective method is to connect with others and share this information with friends and family. We are amazed at the number of samples we receive as a result of someone telling someone who tells someone… about what we are doing. Word of mouth is probably the most powerful tool for sharing this information. For those with a real passion to become involved, you might be better off contacting a scientist at a nearby college or university. Most scientists love to talk about their work and will be glad to help you find a way to become involved with a compatible program or lab. Our future plans are to continue building the crowdsourcing initiative and introduce an elementary or high school focused component to the program. Getting kids and young adults involved can make a huge difference in helping them identify satisfying careers later in life. We also plan to expand the number of biological targets we are screening both through in-house assays and emerging collaborative projects with other medical researchers. A big effort is also underway at the University of Oklahoma where I am serving the director of the newly formed Institute for Natural Products Applications and Research Technologies (INPART). We are hiring several new faculty who will be building programs aimed at the development of new drug leads. Many of the fungi and the compounds we obtain will likely move forward to these labs for further investigation. This is a real exciting time for natural products drug discovery and INPART is working to play a significant role in making these opportunities a reality. Unfortunately, a lot of information about our work and that of other scientists is typically written in a form for use by other trained individuals. We are trying to build our website (http://npdg.ou.edu/) to be more informative for general use and we hope this will be good resource for many in the near future. Searching through the worldwide web for information can help, but there is a lot of material to sift through. Contacting groups like the American Society of Pharmacognosy (http://www.pharmacognosy.us/) can also help. This is the largest association of natural products researches in the USA and has a very large number of international members too. In addition, people should think about making contact with local university scientist. Often they can help guide a person to the source of information they will need. 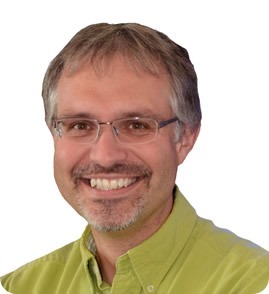 Robert has had a long-standing fascination for the chemistry and biology of natural products. These interests were initially cultivated during his childhood and young adult life in rural western Michigan and further refined during his undergraduate experiences in biology (B.S. 1994) and anthropology (B.S. 1994) at Grand Valley State University. Next, Robert went on to the University of Louisiana, Monroe where he obtained his M.S. degree in pharmaceutical sciences (1999) under the guidance of Dr. S. Kouzi in the microbial biotransformation of natural products. Shortly after, Robert joined the plant natural products lab of Dr. M. G. Nair at Michigan State University where he earned his Ph.D. in 2002. Upon moving to the University of California, Santa Cruz, Robert conducted postdoctoral studies in the field of bioactive marine-derived natural products under the mentorship of Dr. P. Crews. In 2005, Robert began his independent research career by establishing the Natural Products Discovery Group (http://npdg.ou.edu) as an Assistant Professor in the Department of Chemistry and Biochemistry at the University of Oklahoma. He was promoted to Associate Professor in 2011 and later named a Regents’ Professor in 2012. Also in 2012, Robert was appointed the Director of the University of Oklahoma, Institute for Natural Products Applications and Research Technologies (INPART) (http://inpart.ou.edu) where he currently oversees the group’s efforts for converting natural products into therapeutic leads to combat cancer, infectious diseases, and other unmet medical needs. Robert’s research group merges chemical, biological, and microbiological approaches for the development and application of new techniques aimed at the discovery of bioactive metabolites from fungi and bacteria.